Claiming to be the biggest bookie in the UK, William Hill have a lot to live up to. After being an early adopter of online gambling, they eventually fell by the wayside somewhat, before clever tech partnerships gave them a life saving shot in the arm. They have since kept up the pace, however, and now deliver a website that is a pleasure to use, with more events and market variety than you can find almost anywhere else. This industry titan is great if you like to watch the fixture you are betting on live, and throws more than a handful of promotional offers into the mix to boot. The Plus Card is of huge benefit to punters who also bet in store, and since there are over 2,300 of them you won’t have to walk far to do so. William Hill have clearly learned a thing or two since they began back in 1934, which is why they are a canny choice for every type of bettor. Customers at William Hill are given an awful lot to work with. The list of sports categories totals 32, with all of the usual suspects backed up by plenty of American sports as well as comparably strong Specials, Politics, and Esports offerings. Best Odds Guaranteed is available on all UK & Ireland Horse and Greyhound Races, but races from around the world are also available to bet on and Live Stream, and in fact, a lot of other promotions are aimed at punters in this category too, such as Bet Boosts, High 5, and Lucky 7’s. Odds come in Fractional, Decimal, or American formats, and in general are usually quite competitive; Basketball fares particularly well, and William Hill like to offer top prices on the really popular events and markets too. If you are an occasional gambler then this could be the place for you. Market depth doesn’t really get much better, certainly not when it comes to Football. They have every market and bet type imaginable. We wouldn’t call Switzerland vs Qatar a big game, but there it is with 271+ future markets. There are often enhanced markets available within each event as well, so there really is acres of room for maneuver from the punter’s point of view. William Hill might get pipped to the post by a tiny margin in one or two areas, for example, depth of markets in Tennis fixtures, but not by much at all, and in most categories they dominate when it comes to bet variation and choice. The in-play area is very strong for live streaming, incorporating the video into the interface to allow betting and viewing to go hand in hand. They cover more events than most other operators and better still the Watch Live service is free to use. If you want to watch the Horses then the obligatory £1 wager applies, and every major UK race is covered along with most Greyhound races as well. What’s more, the feeds are clear and don’t glitch from our experience. 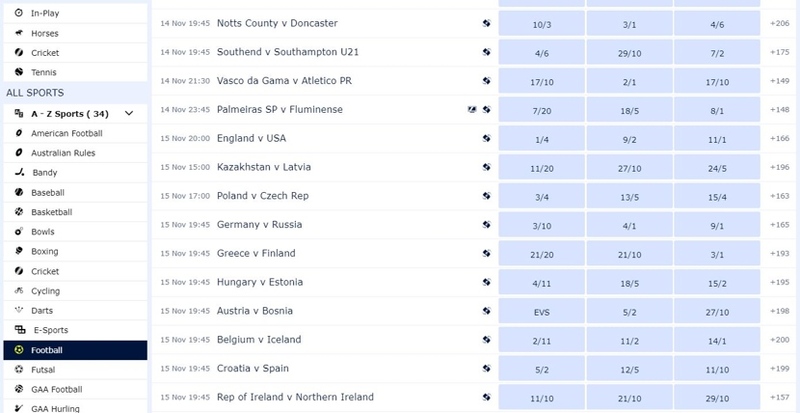 William Hill continue their good form with market depth and variety here (they boast 100 ways to bet in-play), but we did notice that more events were available at some other sites. We have to say, though, the selection of 5 Minute bets are great for an adrenaline boost, and odds remain competitive especially for Football. It’s a funny one because the in-play area doesn’t look like much, but it does everything that you would need it to. Sport by sport categorisation and event numbers give punters an instant view of what is going on, cash out capability and number of markets are clearly on show, and you can even select to see Watch Live events only. Used in tandem with WH Radio, for example, this is a great way to spend an afternoon betting on sport. Once an event is expanded things improve visually, showcasing a fantastic game graphic where live streaming isn’t available, with live text commentary, a game timeline, and a good level of statistical data laid out plainly. You certainly won’t be short of payment methods if you bet with William Hill. There are so many on the list that we had never heard of some of them – they even accept cheques! They aren’t the quickest to process withdrawals but if you sign up for a Plus Card that won’t be an issue, and if you use an e-wallet you won’t have to wait long anyway. Low minimum deposits and withdrawals will be a welcome sight for those with smaller bank rolls, and generous maximums for those high rollers. No fees in sight either. You can watch Bet TV for free although you can’t control what it is showing. It’s not quite the same thing as Watch Live which integrates with the betting interface, but it’s entertaining none the less and a great way to keep an eye on what else is going on. The great thing is that as you load different areas of the site Bet TV will keep running without issue. As will WH Radio, which offers commentary on Horses, Greyhounds and in-play events throughout the day. This is also free to use and a great feature to add some excitement to the proceedings – it also feels a little bit nostalgic. WH Radio is your key to the William Hill Podcast which uploads a few different episodes each day, with ambassadors like Robbie Savage previewing various sporting events and discussing possible outcomes and important factors. 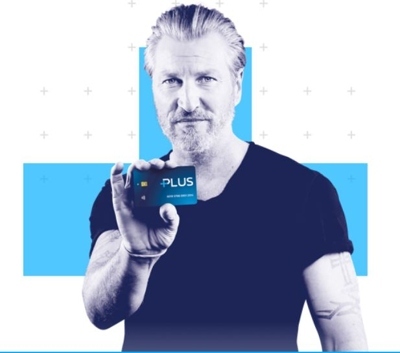 The Plus Card allows you to seamlessly blend your real life bankroll with your online bankroll so that if your online bet is a winner, you can walk straight into your local branch of William Hill and withdraw the winnings in cash. No more waiting for them to process and transfer funds to your account; cash can be in your hand in seconds. Equally, you can deposit to your online account or use your online funds to bet in shop, as well as cash out shop bets on your mobile. Essentially, it means that your money can be controlled and moved as you see fit at the time. This also means that shop bets can potentially qualify for online only offers, plus, with 2,300 physical bookies countrywide you are never going to be far away from one. This is becoming a staple feature of the industry these days, and a company like William Hill would be seriously flagging if they didn’t support it. Cash Out (or Cash In as it is called at this bookie) allows you some wiggle room with your bet so that if the scenario isn’t playing out as you had expected you can end the bet early at new odds. This can help you to save a little money instead of losing it all, or guarantee you a profit albeit a smaller one than if the bet had continued and won. 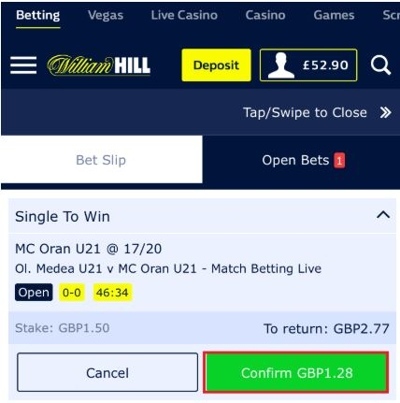 As an example: if you bet £10 that a match will end 2-2 and the current score is indeed 2-2 but one team looks like scoring, you might want to cash out to guarantee some profit. The price won’t be as good as the original, but it allows you to react to the given circumstances of an event and keeps the bet alive and active throughout. Much more interesting. Exactly the same premise as above, but instead of cashing out all of your bet, you cash out a portion of it. So, if we stick with the same 2-2 scenario, you might decide to Cash Out £5 of the bet as a safety precaution, but leave the other £5 in with a chance of winning at the original price. Cash Out won’t always be available but the Cash Out symbol will alert you before you place the bet in the first place so you should be aware of what you are getting into. With a completely different feel and aesthetic comes the Casino, a product that is pushing close to 1000 different games for players to choose from. Around 800 slots will more than cover the pre-match lull and you won’t find more Jackpots anywhere else. There is a well curated Live Casino for those players that prefer a more sophisticated environment, but if you would rather keep it virtual then plenty of Table games exist in the normal casino as well. Playtech provide the goods here so everything will be in order, and if you want to know more, check out our in depth Casino review here. It can often feel like the website is as old as the betting company with some of these industry veterans; blocky interfaces, confusing lay outs and a musty smell. Not so with William Hill. The desktop site retains a hint of the past with the logo and colour scheme giving off a classic traditional feel, but everything else is made for the modern bettor. Every inch of space has been put to good use with the interface spanning the full width of the screen giving each individual section plenty of room. This makes all of the information a doddle to process at a glance, which in turn aids usability no end. Navigation too is a piece of cake with all of the usual options such as an A-Z of sports, as well as Popular Sports and Top Bets to use as quick links, and a search bar. Drop down menus are employed everywhere else to give punters an overview of their choices before they make them, keeping the user informed and in control. 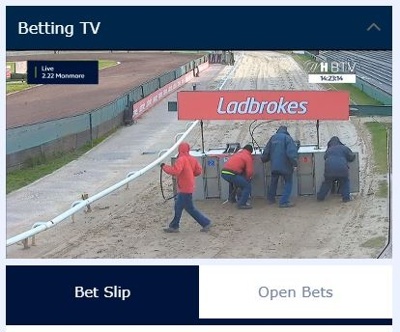 They have even managed to squeeze in a Betting TV box without it getting in the way or feeling cumbersome. One of the most useful features works as follows: When you select a sports category a separate box is created containing all of the useful links specific to that category. So if you clicked Horse Racing, for example, the box might contain links to Future Races, Specials, Top Bets, Tote, Naps Table, Jockey/Trainer etc. The site looks and feels very light and breezy to use, we ran into no loading issues at all and to be quite honest we are struggling to find room for improvement. William Hill was actually the first UK bookie to launch a website so maybe they have had a head start, but when you consider the sheer scale of the content they deliver, the fact that they can do so and make it look so easy in the process is quite an achievement. Some of the credit must of course go to OpenBet who maintain the platform that the site has been built on. If you aren’t aware of OpenBet, they have been working in the sector since 1996 and have been named Sports Betting Supplier of the Year more times than any other company. A lot of bookies mobile websites are either scaled down versions of the desktop or almost identical to the app. This is neither, and it suffers because of it. Not in terms of functionality, the mechanics are fine and it seems to move smoothly enough, but it looks rubbish. Sparse and blocky and just unimaginative. The app, on the other hand, is much better in every way. 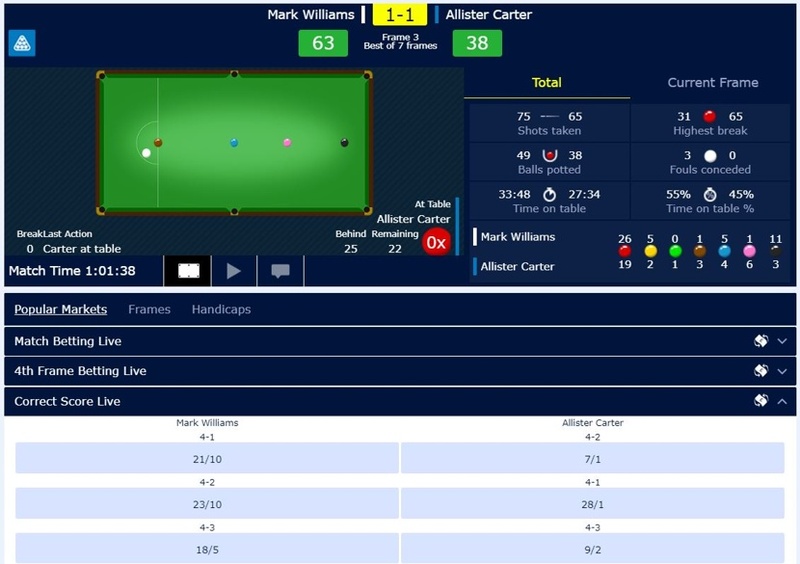 Sticking with the mobile website then, collapsible menus save space and keep things neat and tidy, and access to all the most important features is immediately on hand; the Menu holds the A-Z while popular categories, top bets, and in-play fixtures are accessible from the home screen. The in-play area doesn’t feel the same on mobile. Although stats and Watch Live are still available, it doesn’t have the same high-quality finish as can be found on the desktop site. On the plus side, red and green colour coded odds allow for confusion free betting as the prices fluctuate. It is a perfectly functional mobile website, there are a few features missing but we are not suggesting that it will let you down, it just needs a good nights sleep and a makeover. Poor old William Hill has been passed around more often than a Morrison’s shopping trolley. The company has been owned by numerous holdings and capital partners over the years, but their story first began in Birmingham in 1934, when William Hill himself started the business as a postal and telephone betting service at a time when gambling was still illegal in the UK. By 1961 this was no longer the case, and 5 years later William Hill began to buy betting shops and acquire other existing small-time bookmakers, beginning a trend that would continue for a decade. In 1970 William Hill himself retired, passing away a year later, and in Newmarket no less. At around the same time, Sears Holdings Groups purchased the company and began what would be a chain of new owners over the next 30 years. Fast forward to 2002 and William Hill is floated on the London Stock Exchange and begins acquiring Greyhound stadiums, having already launched online back in 1998. In 2005 they bought 624 betting offices from Stanley Leisure for £504 million making them briefly the biggest bookie in the UK – until the office of fair trading made them sell 78 of them due to concerns over anti-competitive practices. It was at the end of 2008 when William Hill partnered with software company’s Playtech and Orbis (who would go on to become OpenBet) in a bid to breathe life into their dying online operations. As you can see from this review, ten years on and things seem to be going much better. There have been many controversies in William Hill’s past, the most recent of which ending in 2018 after the company was found guilty of accepting large amounts of money linked to illegal activities and fined £6.2 million for the pleasure. This doesn’t seem to worry punters, however, since William Hill currently owns 2,300 betting shops which are said to process over 1 million betting slips every single day, and more than 1,650 members of staff are employed by the company. Why Bet With William Hill? Trying to pin William Hill down to a specific kind of bettor is difficult because they have covered almost every angle. Occasional gamblers will find odds in the top percentile on big fixtures as well as a fantastic range of markets to play with. Professional gamblers can take advantage of that same depth of markets alongside useful stats and results services, both in-play and pre-game. If you like to bet in store as well as online then the William Hill Plus card gives you all of the above as well as the flexibility to move funds between the real and virtual world in no time at all. So, who won’t this website work for? If you can come up with an answer let us know. We have to say, the help and support available from William Hill these days is exemplary. There was a time when it would have been fair to question how trustworthy the company was, but it’s safe to say those days have passed. The support team really know their onions, communicate clearly, and can be contacted by Phone, Email, or Live Chat 24/7. 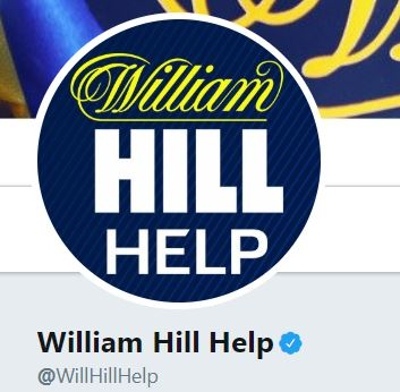 You don’t even get that much from some other online bookies, whereas William Hill goes even further by running a dedicated Twitter account and inviting feedback in whatever form you choose to give it, showing that they are open to listening to their customers’ ideas for improvement. We are all for good communication between bookie and punter and this open door policy, if you will, is great to see. What’s more, the Help section – which opens in a new window – is vastly superior. Well structured and easy to use, it offers guidance by way of a categorised and searchable FAQ with detailed answers and links to Contact if you are still stuck. We feel very well looked after here. Live Chat – If you aren’t connected immediately you will be told how long your wait is, and the team are great. Live Chat opens in a new window full screen, which is novel. Phone – Free from landlines and mobiles, 0800 0856 296 will get you through to an advisor. They politely ask that you try Live Chat first, though. We don’t mind what you do. 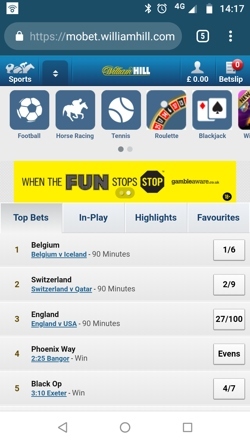 @WillHillHelp – Running alongside the regular account is this dedicated support account. It’ manned 8am-11pm every day.